Metz Culinary Management announces the hire of Kim Salahie as director of culinary management. His new duties will comprise an expansion of the consulting counsel he provided to Metz since his hire in early 2018. 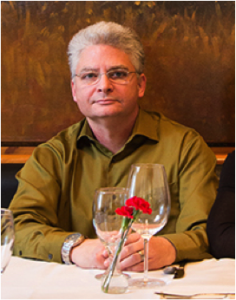 Salahie will serve as the primary subject management expert for all things culinary within the Metz organization. His insight and creativity will assist in his leadership of the menu development process, a responsibility he will fill in collaboration with the Metz operations team. He will lead initiatives that include the organization’s seasonal menus, specialty menus menu costing and ingredient selection. Further, Metz plans to look to Salahie to lead, create, support, comment on and respond to culinary trends across all business divisions. In addition, he will lead and provide support for all new business openings, culinary training, new concepts and renovations. Salahie brings to this position more than 25 years of experience within the hospitality and contract food-service management industry. He has achieved extensive accomplishments within diverse environments by focusing on a strategic to tactical process that has included both innovative and deliverable solutions. Prior to joining Metz, Salahie was the owner of Zebra Restaurant, a French-American fine dining restaurant in Charlotte, NC. Compass Group also employed Salahie for many years in a variety of positions, including director of culinary development. Salahie has a Bachelor of Arts degree from Anglia Ruskin University, Cambridge, England. He completed post-graduate courses in Hotel & Catering Management at Westminster College, London.